It’s a pretty watering hole, Cinco is, and a good place to stop with the guys, or a girlfriend, take in the atmosphere, enjoy some modest eats. The deal with Cinco is that they start with good ingredients, and deliver a solid, not brilliant, product. 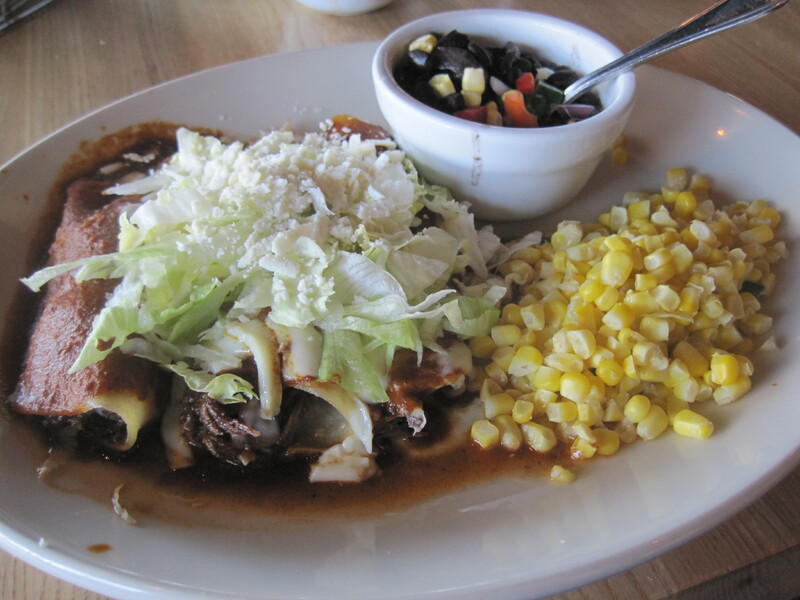 Braised short rib enchiladas are an example of what they deliver. 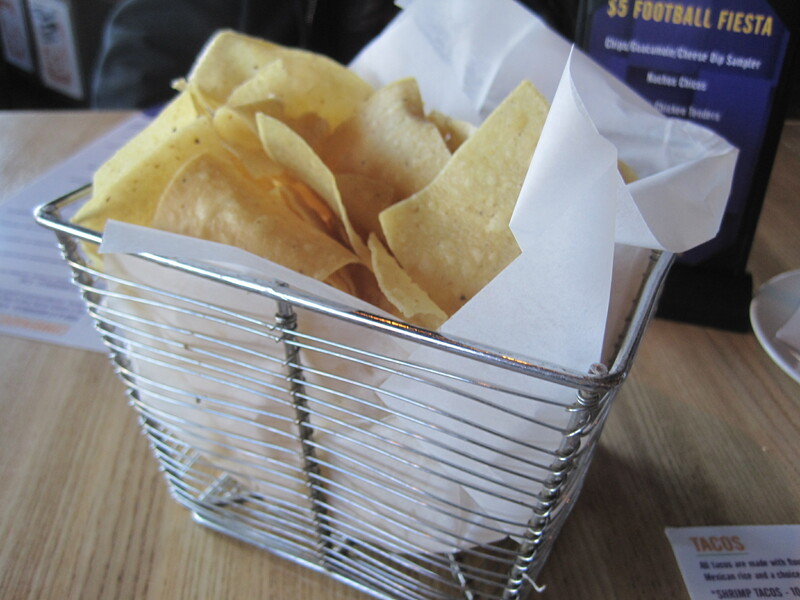 Cinco is clearly dealing in border cuisine (Tex-Mex, Tejano, what have you), as opposed to authentic Mexican cuisine. It’s a companionable place, and as stated, really good looking. PS – Chloe’s review of five years ago is still a good description of this place. Two words: Go now. 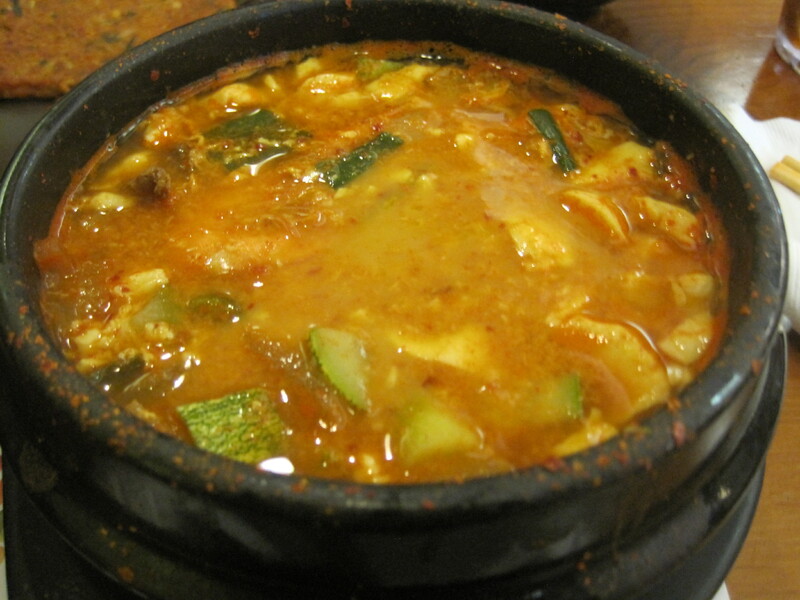 Not because the tofu soup is fantastic. It’s really good, mind you, but they’re giving the kind of service that will leave you smiling about the whole experience of eating here. Six months from now, it might be more pedestrian, so I’m tapping rapidly on the ‘go now’ button, for those I can offer a suggestion to. Tohdam is behind the stairs. 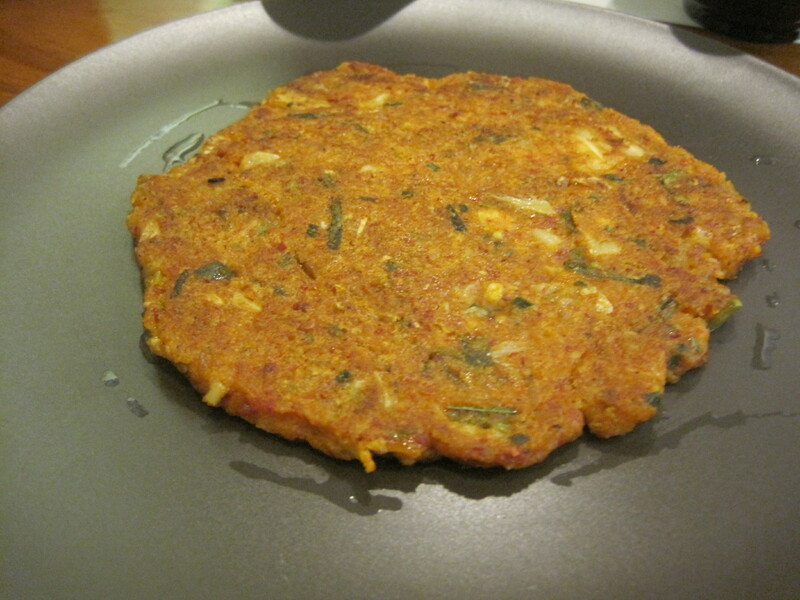 They offer interesting extras, such as this mung bean pancake. It was crunchy, with plenty of green vegetable bits. They serve a good tofu soup. On a scale from one to 5, I’d rate the silky tofu soup, banchan, purple (brown) rice, extras, about a 4 out of 5. Service is a 5+ and that’s what I find exciting about this eatery. It’s in a small ‘C’ shaped mall anchored by an Assi market, and is a little out of the way. 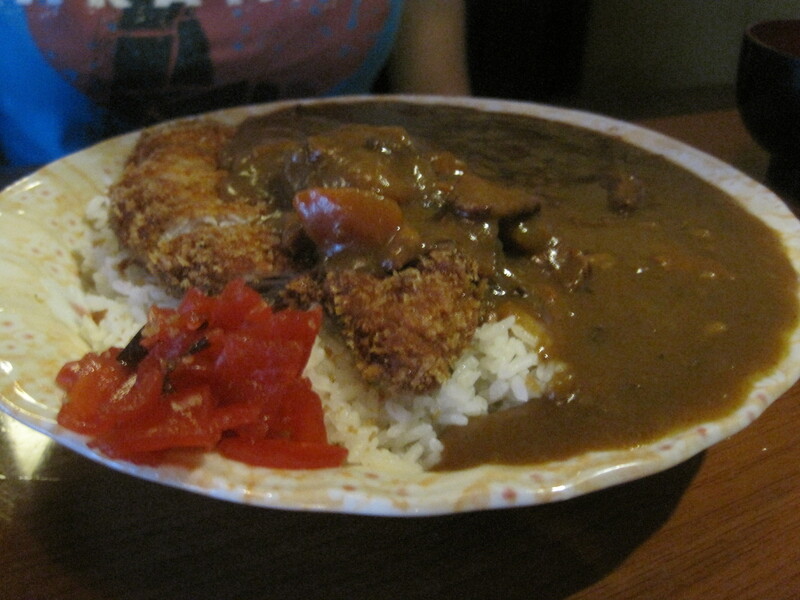 I had dropped my daughter off at Japanfest and was looking for a place to eat. I ended up catching the Tohdam sign out of the corner of my eye. 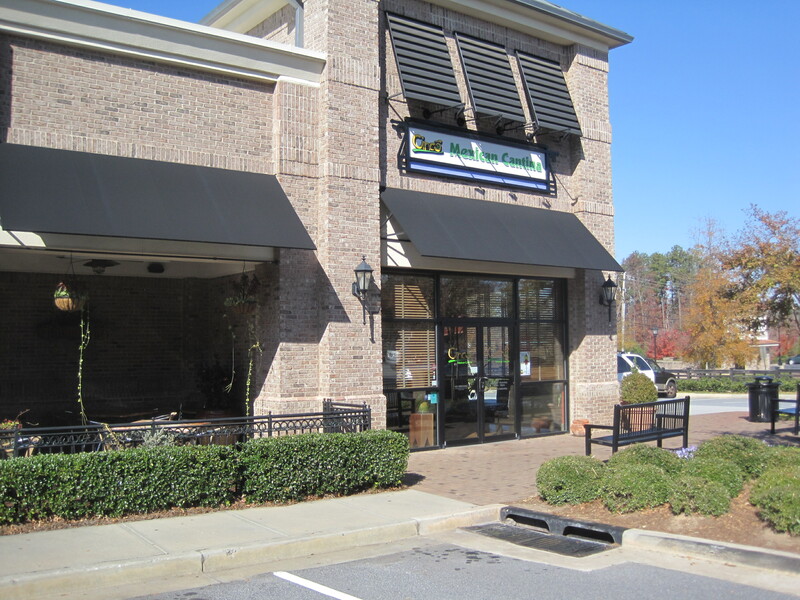 @FoodNSnellville It’s the 3rd incarnation. Chef+owners change each time. Gets better every time. I never did get to the other versions, but this one should be on the tofu soup short list of everyone from Duluth to Buford. My mother-in-law is Japanese, my wife is half. Feeding a Japanese party the right way isn’t a hypothetical in my household, it’s a fact of life. To that end I’m better off when the restaurant is capable of serving the components of a formal Japanese meal, than I am with a sushi and ramen shack on steroids. 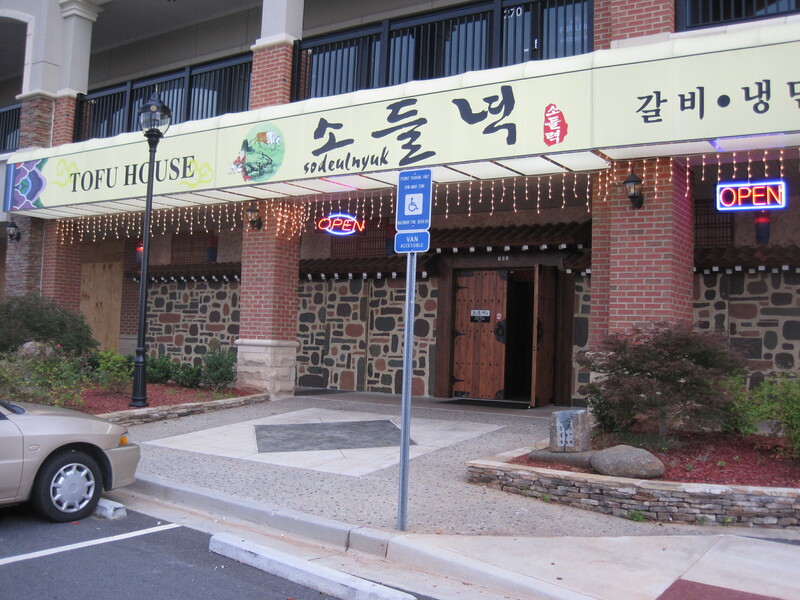 Waraku Japanese Restaurant thus has a virtue most foodies and/or bloggers in Atlanta aren’t appreciative of, the idea that a full blown traditional Japanese dinner could be constructed from their menu. 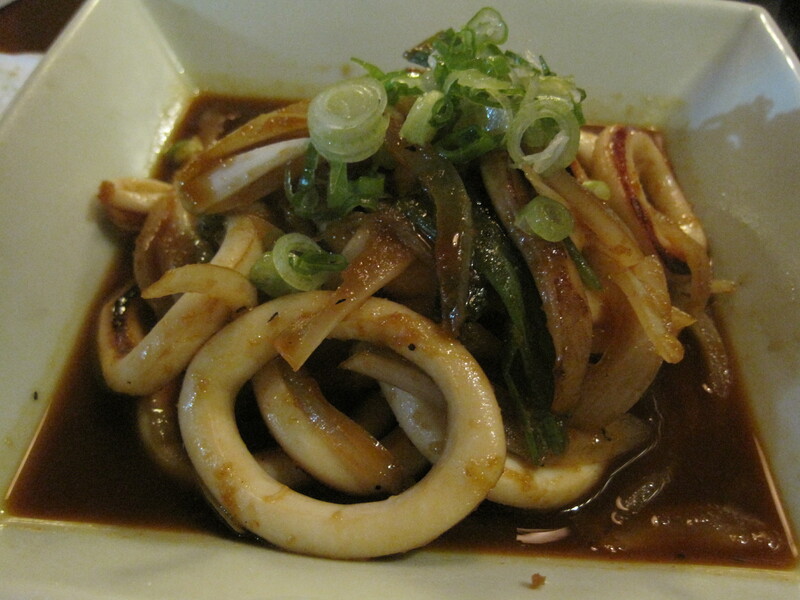 Waraku has an 8 page menu, and it’s not a collection of Decatur and Cobb County rolls. 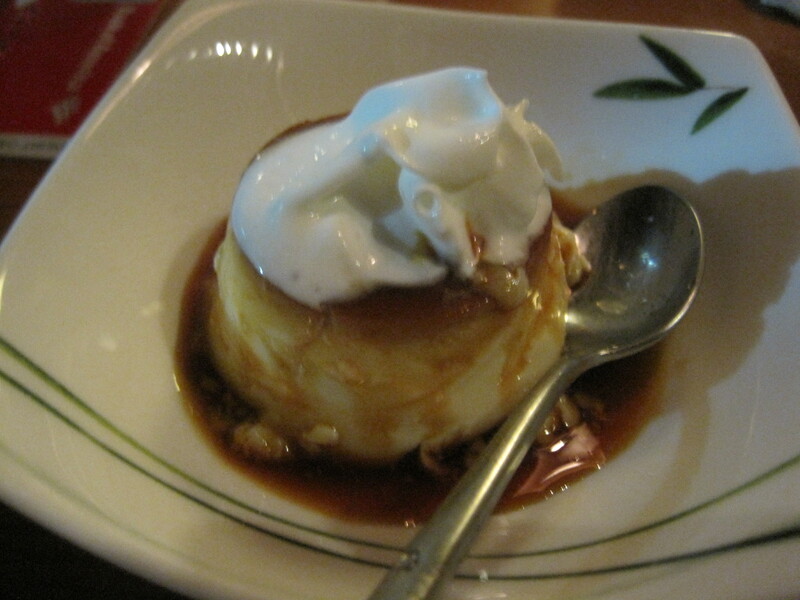 Instead, every major cooking technique in Shizuo Tsuji’s masterpiece “Japanese Cooking, a Simple Art” is represented. 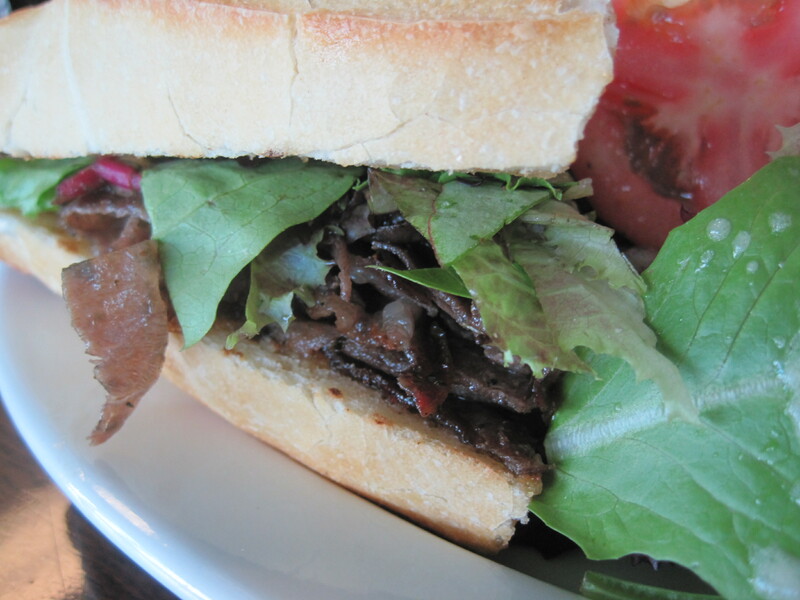 Grilled foods, pan fried foods, steamed foods, simmered foods, salads, noodle dishes, pickles are all here. 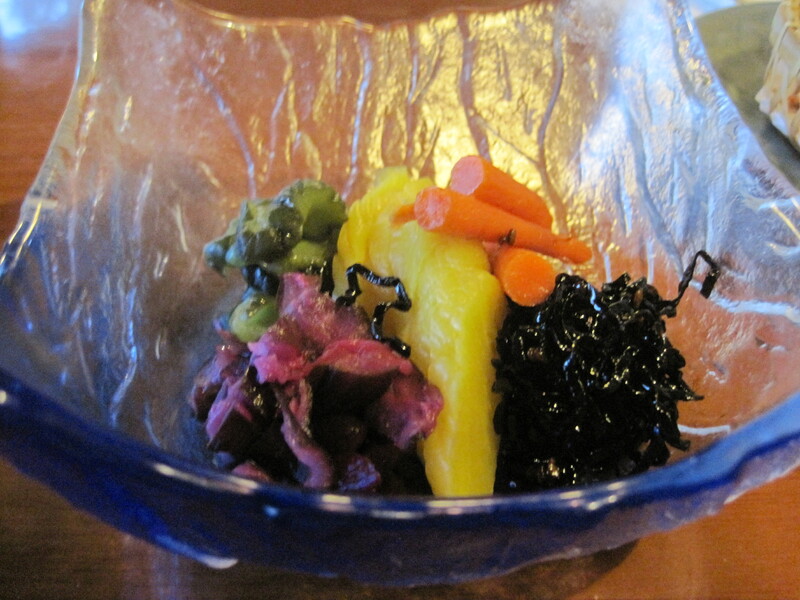 Perhaps the only missing major component is nabemono, and nabemono requires such specialized staff to do right that very few restaurants try to do it anymore. 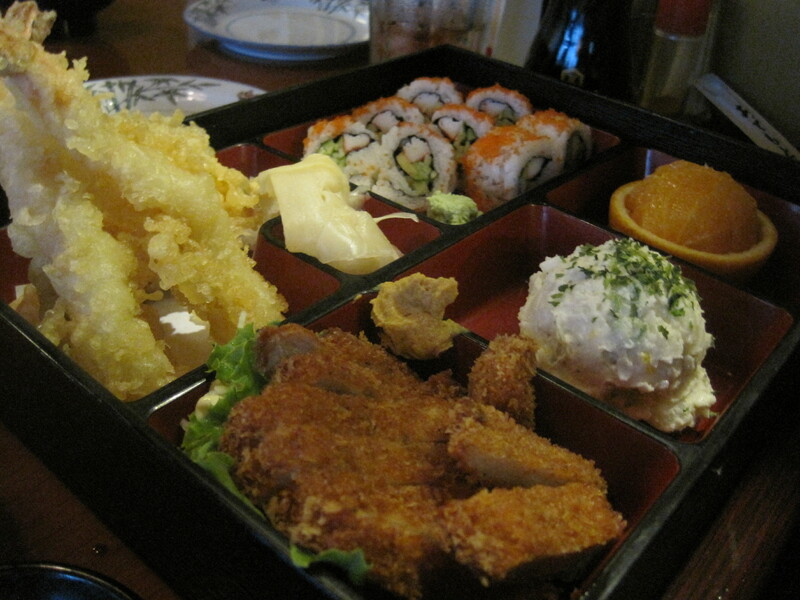 California roll bento box, with tonkatsu and vegetable tempura. 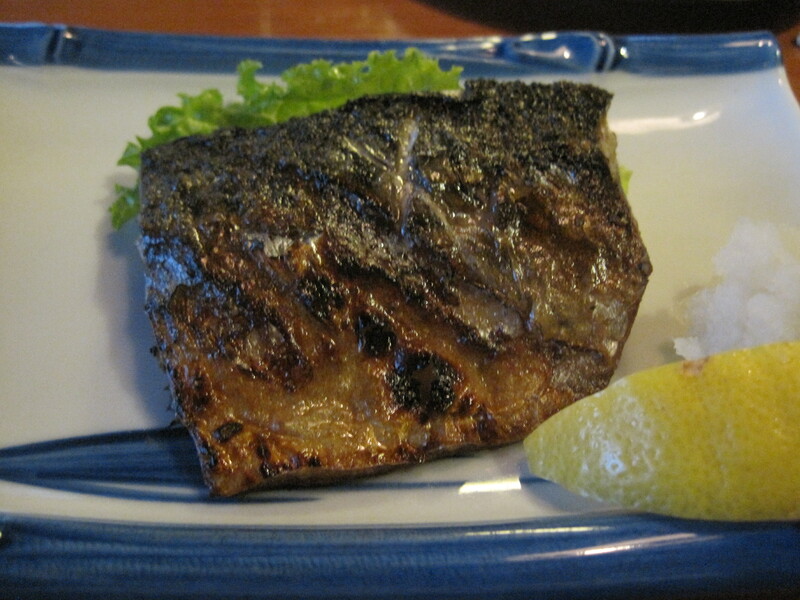 A good grilled mackerel can be had at Waraku. The trendy folk will hang out at the Midtown sushi houses and the occasional ramen-ya, and try and convince themselves they’re seeing it all and know it all when it comes to Japanese food. 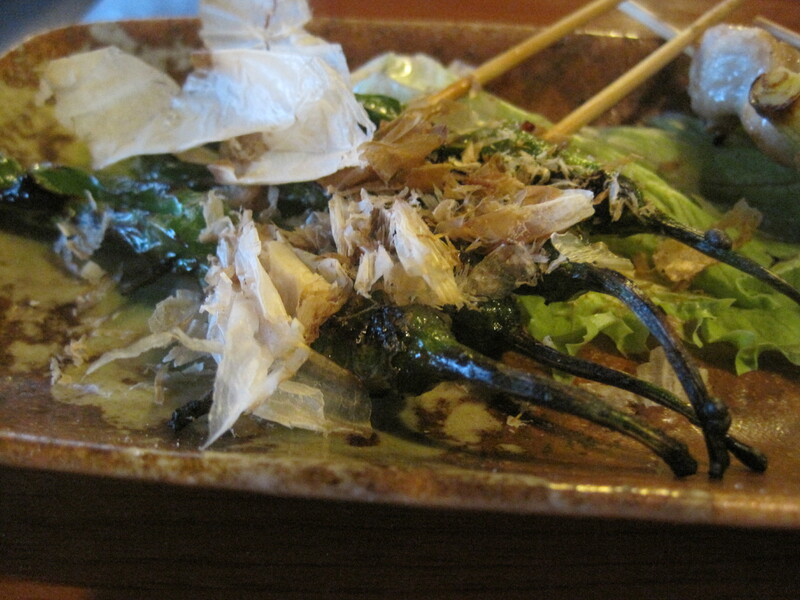 Meanwhile, real Japanese, and a somewhat more modest population will find this place, recognize Waraku for the value it represents, and realize this is an inexpensive gem of an eatery on the edge of town. 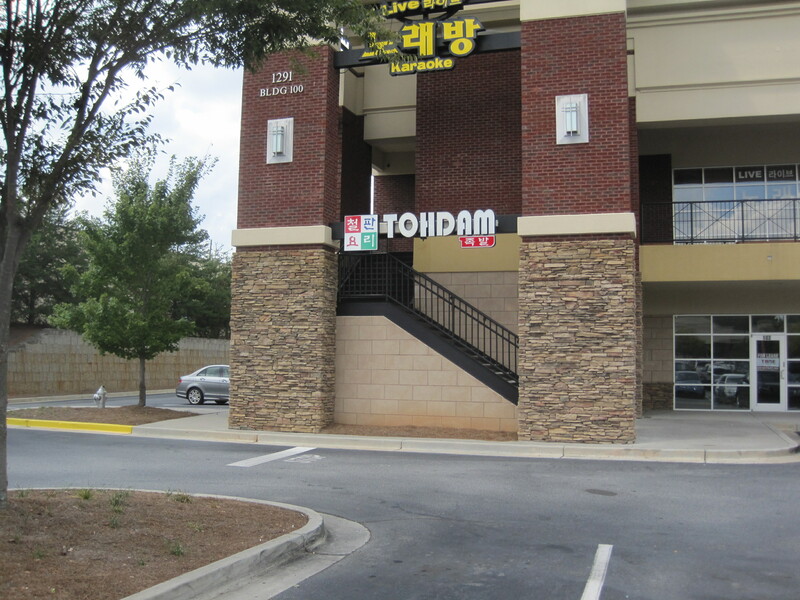 To note, this restaurant is not that easy to see from the street (it’s far back, in the same strip mall where Spiced Right is found) and the only sign that it is there are a few kanji and the word ‘Sushi’ by the street. So yes, get out Mapquest or Google Maps and locate this place. It’s not the easiest to see, but the quality of the food for the price you pay? Well worth it. 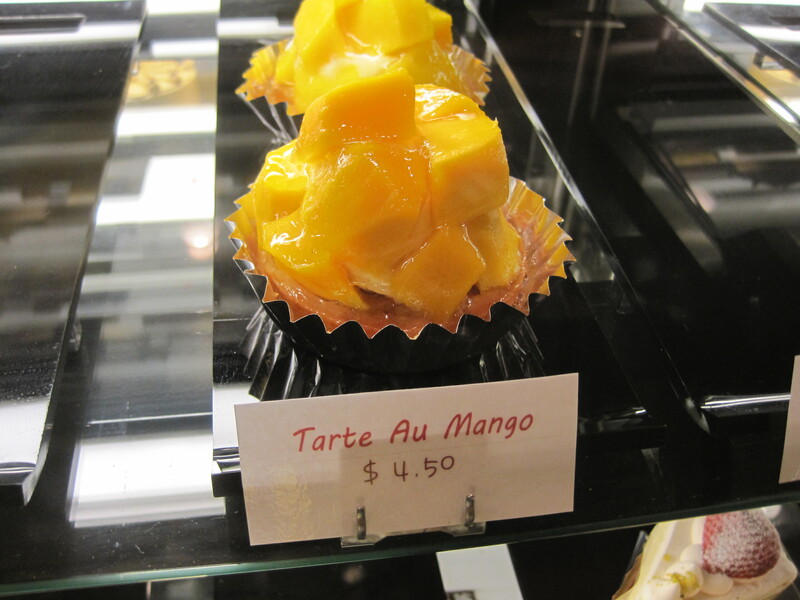 PS – I want to thank my reader Coko for telling me about this place. If you have never read Coko, I’d strongly recommend reading her comment to this article. It’s near Umaido, with a Korean only name and an icon of a cow just to the left of the name. I knew of it because Chloe had reviewed it, but we found it mostly by trial and error after taking family to Discover Mills. A short jaunt up the road and we were there. 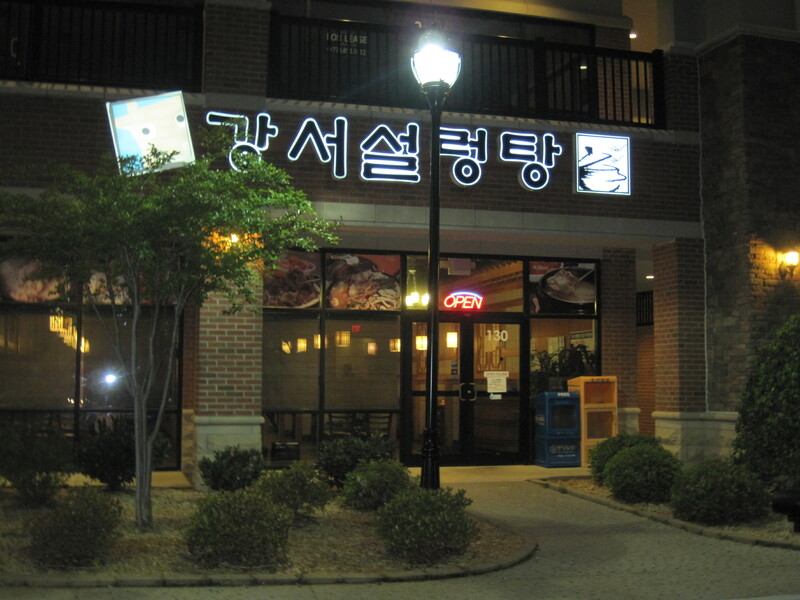 Korean eateries have become a safe haven when I’m not sure where I can eat. 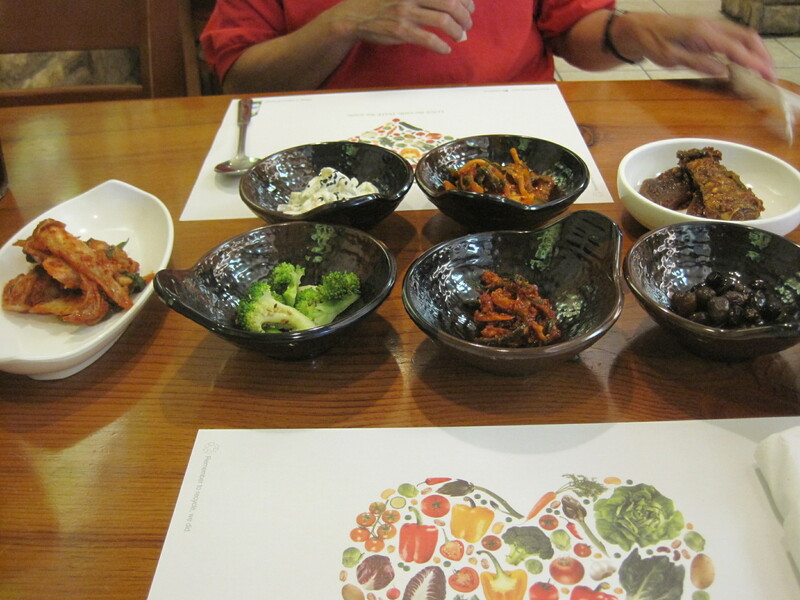 Koreans have an emphasis on meats, spices, and vegetables in the form of banchan. 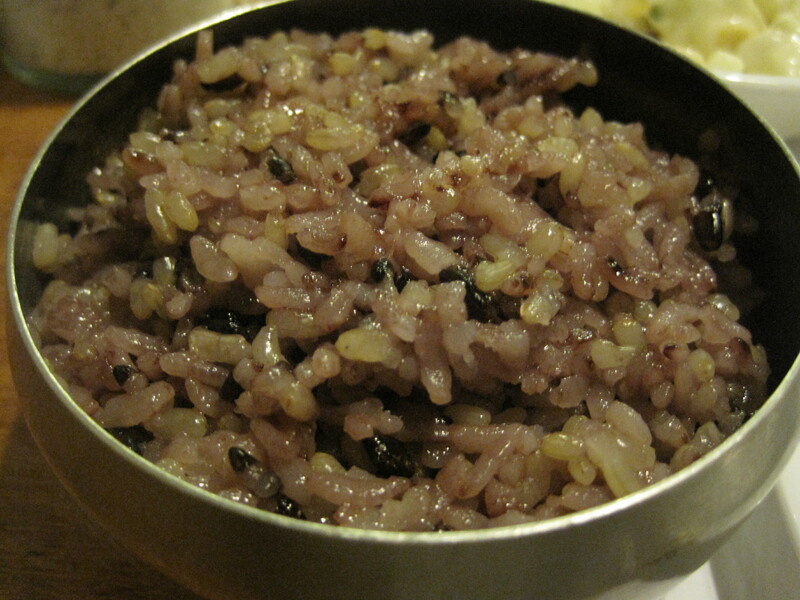 Rice is generally separated from the rest of the meal. The cuisine allow me to control my carbs, and thus lets the rest of the family eat what they please. 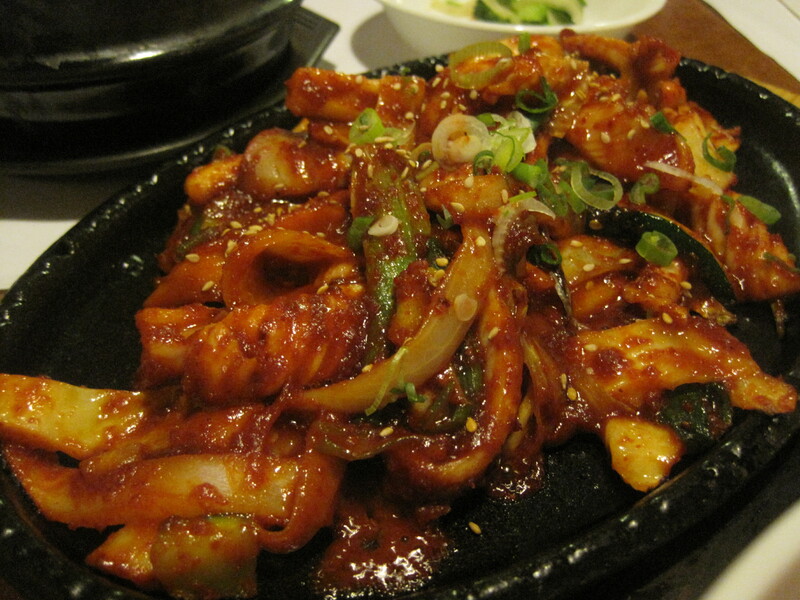 Usually between the soups, the barbecue, and soon dubu, we usually can find our comfort zone. The comfort zone this night was in the spicy grilled octopus, which was really good. 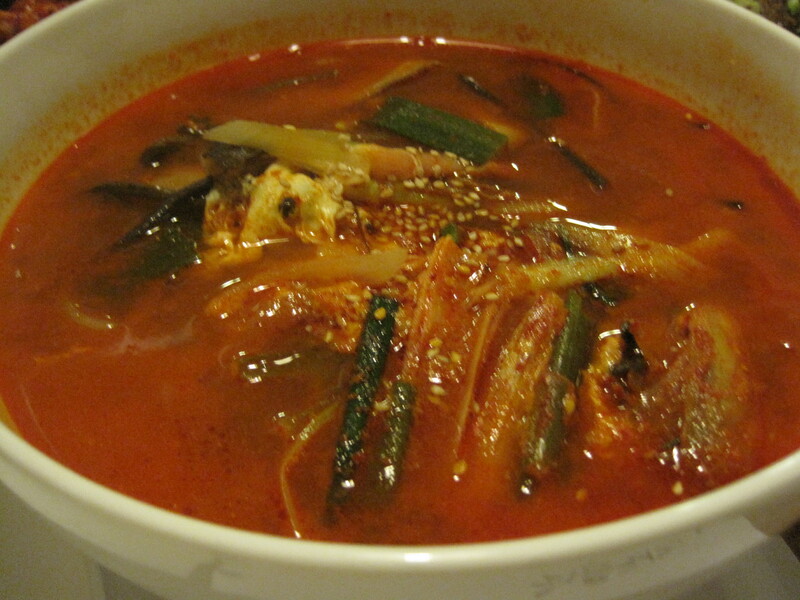 The yuk gae jang was reliable: plenty of meat, just enough spice, the leeks safe and tasty. 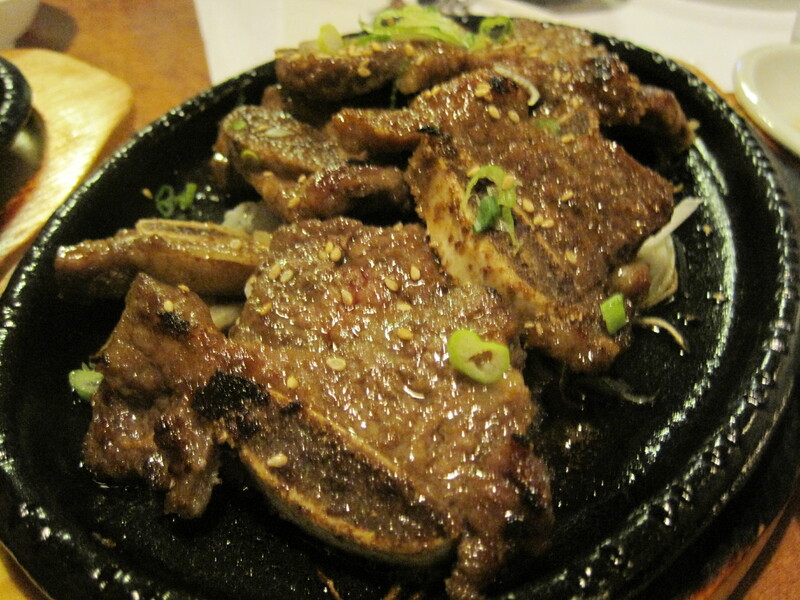 The Kang Seo version of tofu soup was one my wife favored and my daughter stuck with the safety of short ribs, or galbi. Service was, I felt, quite good, if a bit more plain spoken than polished. That’s fine. The waitress spoke up when we were about to order too much food and probably saved us a good ten to fifteen dollars by doing so. 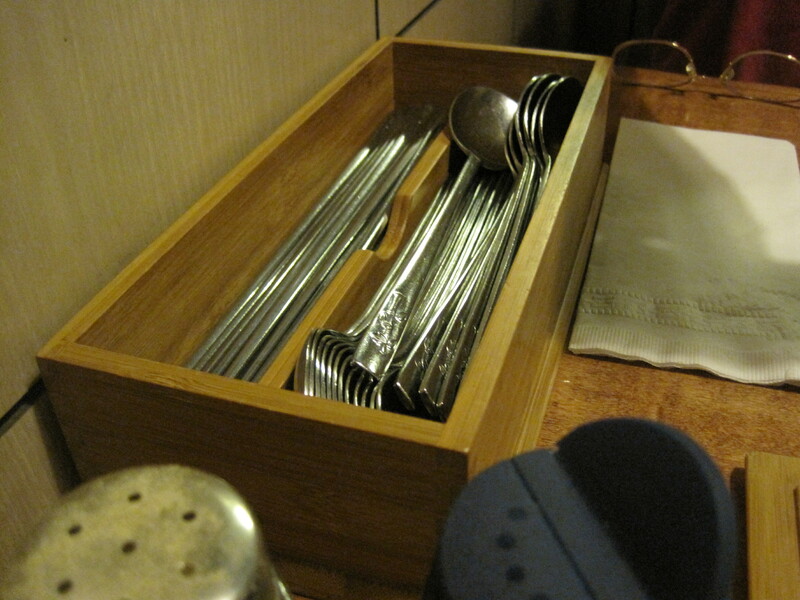 There is a button on the table to ask for service (which we essentially never used) and the silverware is all metal. I’m under the impression that’s a bit like the fine silverware in a typical Southern household. I enjoyed my time here. So did my family. 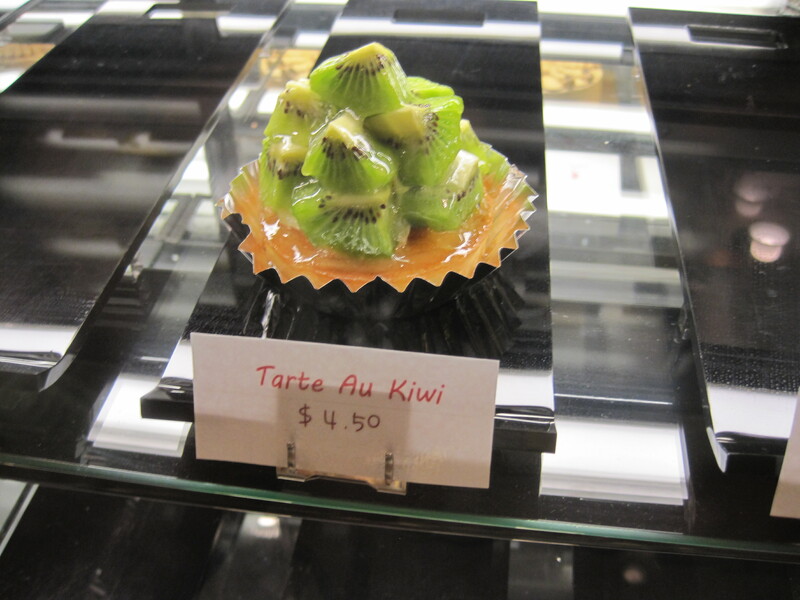 They serve some fancier dishes here, but given their price, we’re not likely to explore them. 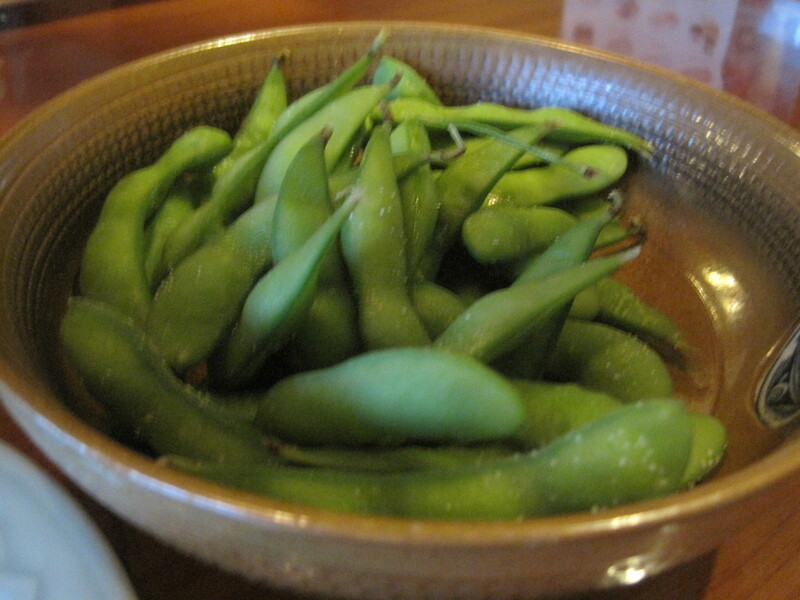 They seem to be in the same family as Japanese nabemono, intended for groups. It would take a group, I think, to explore that kind of eating. 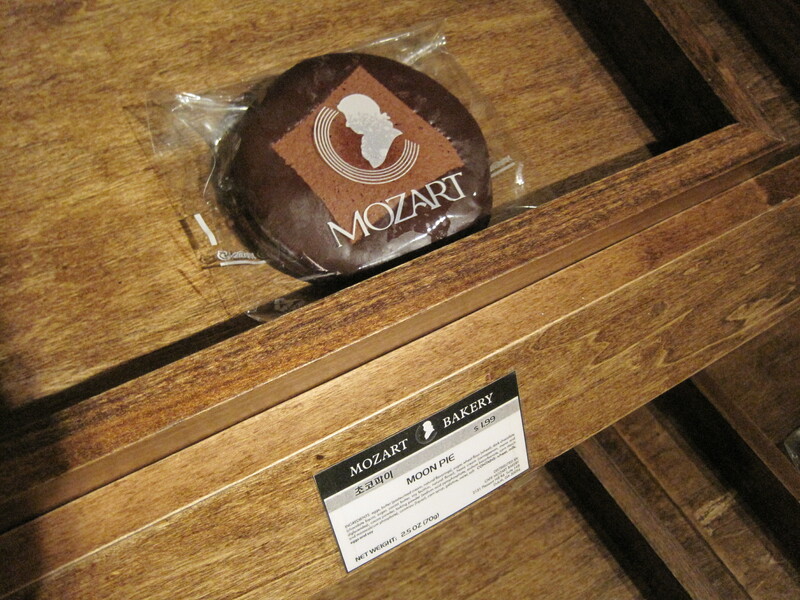 It amazes me how Cafe Mozart can make a moon pie seem elegant. 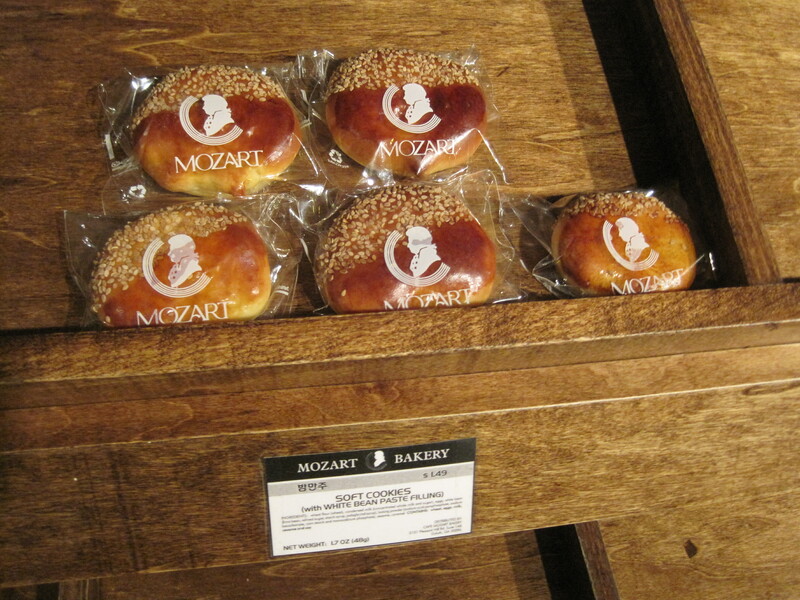 That said, back when I could eat sweets, I used to savor the tarts that places like Cafe Mozart would serve. Oh, she’s fond of these! This particular location has musical notes attached to the walls, and a glass cutout in the floor, in the outline of a grand piano. It is pretty spectacular if you’re standing atop it. Soedulnyuk is popular. When I was entering this restaurant a party of 30 left. It wasn’t hard to get in, but once in, it was something of a Hotel California of food. The restaurant was slammed the day I arrived. You could see the worry and anxiety on the faces of staff, their body language radiated the effort it took to keep up with the crowd. This success has come at a price to customers though. The signs for “all you can eat” showed a price increase, to $11.99 and $16.99 respectively, and the wait before anyone would take orders was very long. 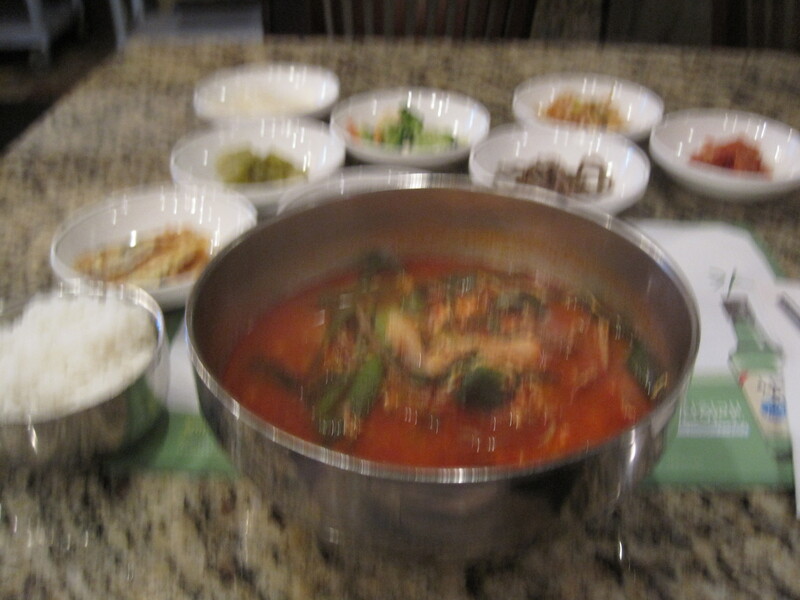 Yuk Gae Jang; sorry for the fuzzy photo. Food was long in coming after the order. I was worried I might have to drop reviewing the restaurant altogether because of the waits when finally, food arrived, along with banchan. The soup was good; beef and leek complemented each other well. The bowl was as big as my head. Banchan were plentiful. 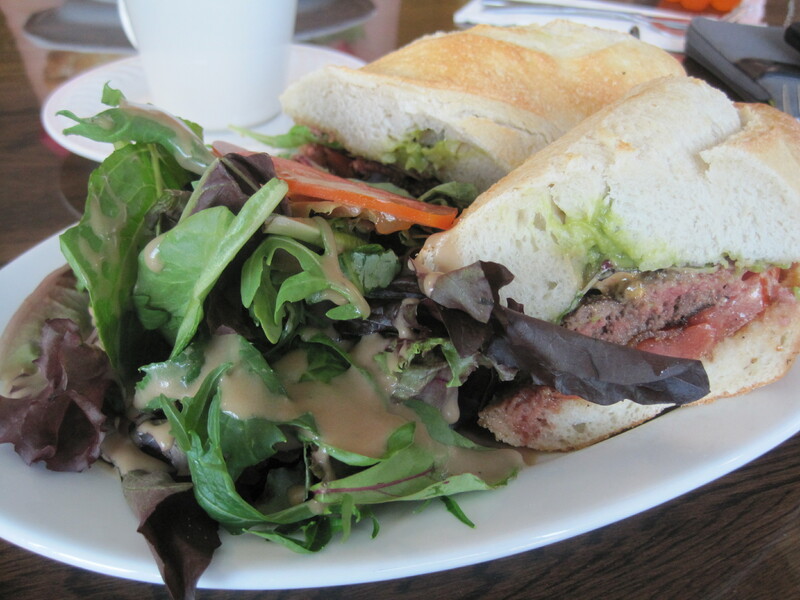 This is an easy, safe meal for me to eat these days, very little worry about the ravages of diabetes. Once finished though, there was that long interminable wait until the check was picked up. Verdict: Good food. Overwhelmed by their success, so don’t expect much attention from staff. Recommended, assuming they fix their staff issues.